In addition to being extremely informative on the topic of how the largest banks in the U.S. nearly killed the country's economy, the following titles also do a good job of taking you inside the halls, cubicles, meeting rooms and corner offices of the likes of Goldman Sachs, JPMorgan Chase, the fomer Bear Stearns, the former Merrill Lynch, the former Lehman Brothers and other firms, giving you an accurate look at what life is like as a bigwig (or smallwig) on Wall Street. Of course, they're also quite entertaining. Happy reading. Ward kicks off with an epigraph from Milton's Paradise Lost and proclaims in the prologue, "No, this is not yet one more book about the crash of 2008. Rather it is a parable about the foibles of men, the corrosive influence of money, and the dangers of hubris." 10. On the Brink: Inside the Race to Stop the Collapse of the Global Financial System, by Henry M. Paulson, Jr. In addition to patting himself and his fellow federal regulators on the back ("By early 2009, it was clear that our actions had prevented a meltdown. "), the former Secretary of the Treasury and former Goldman Sachs CEO rolls out all the pertinent details he can remember from late '08, such as the following reply from TIAA-CREF Chairman and CEO Herb Allison to Paulson's plea for help with Fannie Mae: "[Herb] was vacationing in the Caribbean, and when I reached him later and twisted his arm to come to Washington the next day, he'd initially protested: 'Hank, I'm in my flip-flops. I don't even have a suit down here.'" In Chasing's foreword, McGee, an ex-Wall Street Journal reporter, writes, "For more a decade, Goldman played the game better than anyone else on Wall Street. It earned returns on equity that were the envy of all its peers; its bankers were considered the crème de la crème and increasingly earned bonus packages reflecting that status. Top bankers at Merrill Lynch & Co., for instance, knew to steer clear of their temperamental CEO Stan O'Neal on the days that Goldman releases its earnings. 'Why can't we earn numbers like that?' he demanded of one subordinate on one occasion in mid-2005." A Wall Street Journal reporter, Kelly expands upon a series of articles she wrote for the Journal about the fall of a "dysfunctional family, driven by greed and a complex code of internal politics," with "one of the heaviest debt loads of any firm on the Street." Ace, not known for his humility, writes early on, "Sixty-one years ago I moved to New York and found work as a clerk at Bear Stearns, an investment firm that had 125 employees. Before I turned forty, I was running the place." Decades later, after receiving JPMorgan Chase's $2 a share bid for the "place," Ace writes that this conversation went down with then-Bear CEO Jimmy "Midnight Toker" Cayne: "'I am not taking $2,' Jimmy said. 'Jimmy, if we don't take $2 we'll get zero,' I told him. 'If they're only offering fifty cents we should take it because it means we're still alive. When you're dead nothing can happen to you except you'll go to heaven or hell, maybe. You want us to declare bankruptcy this evening?'" Haslett, the author of the excellent 2002 book of stories You Are Not a Stranger Here, puts Doug Fanning, a Massachusets-born military man turned ambitious banker, at the center of this novel about corruption and greed, a troubled bank and the Fed. Haslett writes, "At Doug's level of bank management, most people relied on underlings to handle recruiting, but that had never been his practice. He insisted on choosing his own people, right down to the traders. McTeague had been one of his. They'd met a few years ago on a flight to London. A Holy Cross grad, McTeague had grown up in Worcester and learned the business with a specialist on the floor of the NYSE." Taibbi, a writer with the ability, at times, to hit Hunter S. Thompson-like notes (he's the dude who famously likened Goldman Sachs to a "vampire squid"), writes in Griftopia's second chapter (entitled "The Biggest A**hole in the Universe") that "former Federal Reserve chief Alan Greenspan is that one-in-a-billion a**hole who made America the dissembling mess that it is today. If his achievement were reversed, if this gnomish bug-eyed party crasher had managed to convert his weird social hang-ups into positive accomplishments, then today we'd be calling his career one of the greatest political fairy tales ever witnessed, an unlikeliest of ugly ducklings who through sheer pluck, cunning, and determination made it to the top and changed the world forever. But that isn't what happened." A Financial Times correspondent, Farrell tees off Titans with this well-played paragraph: "Stan O'Neal, chief executive officer of Merrill Lynch, a Wall Street firm on the verge of disaster, had only himself to blame. He calculated the damage that had been wrought. He reviewed the mistakes he had committed, the strategic blunders, the errors in judgment, and disregard for risk, all of which was exacerbated by faulty execution. Of course, it wasn't entirely his fault, since he relied on the advice of the one person who should have known better -- his caddy." McLean and Nocera take their title from Shakespeare's Tempest and their devils from the top ranks of investment banks, including Goldman Sachs and the former Merrill Lynch. They write, "To most Americans, pre-crisis, the Merrill Lynch name was far more storied than Goldman's. Certainly, it was far better known. Merrill was the 'Thundering Herd' that was 'Bullish on America.' It had offices in every nook and cranny in America, where brokers stood at the ready to sell middle-class Americans the stocks and bonds they needed to put their kids through college and build their retirement nest eggs. 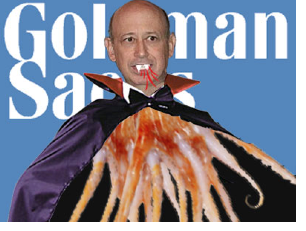 To most people, what Goldman did was a complete mystery. What Merrill did was something everyone could see and understand." The straightforward, sober, thorough, thoughtful, extremely knowledgeable, longtime Wall Street Journal contributor Lowenstein (who also authored the excellent When Genius Failed: The Rise and Fall of Long-Term Capital Management) writes in The End, "The government's backstopping of Fannie and Freddie, along with the federal agenda of promoting homeownership, was yet another cause of the bust. Yet for all of Washington's miscues, the direct agents of the bubble were private ones. It was the market that financed unsound mortgages and collateralized debt obligations (CDOs) that spread their contagion globally; the Fed permitted, but the market acted. The banks that failed were private; the investors who financed them were doing the glorious work of Adam Smith." Unbeatable when documenting the greed and hubris of Wall Street, Lewis (a bond trader turned author) writes, "The Venetian hotel—Palazzo Ducale on the outside, Divine Comedy on the inside—was overrun by thousands of white men in business casual now earning their living, one way or another, off subprime mortgages. Like all of Las Vegas, the Venetian was a jangle of seemingly random effects designed to heighten and exploit irrationality: the days that felt like nights and the nights that felt like days, the penny slots and the cash machines that spat out $100 bills, the grand hotel rooms that cost so little and made you feel so big. The point of all of it was to alter your perception of your chances and your money, and all of it depressed Steve Eisman, the CEO of FrontPoint Partners, a hedge fund that detected the subprime mess before nearly everyone else. He didn't even like to gamble."